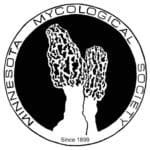 Each year, this scholarship enables one member of the Minnesota Mycological Society (MMS) to attend the NAMA annual national foray. This year’s NAMA National Foray will be held August 8-11, 2019 in Paul Smiths, New York. The MN Mycological Society and NAMA lost one of its most dedicated and beloved members, Marek Turowski in 2017. 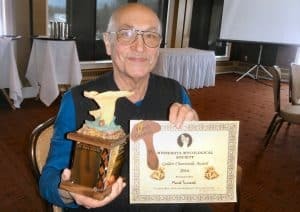 We mourn not only the loss of Marek’s great knowledge, which he willingly shared with others, but also his spirit, and love of the camaraderie of mushroom hunting (and eating)! 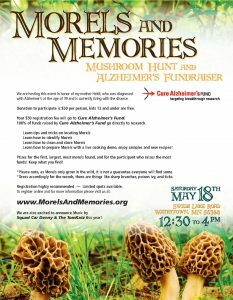 This scholarship was created to honor his memory and to encourage and inspire members of the MMS to enjoy mushrooms and the national community of educators and enthusiasts by giving them a chance to participate in the NAMA national foray. Visit https://www.namyco.org/events.php for updates on this event. To apply for this year’s scholarship, follow instructions and submit the entry form on this application. The deadline for receiving applications is March 2, 2019.